Heidegger’s thinking did not cultivate aggression. There is no logic in connecting him with death camps. It would be more logical to make that connection with John Locke, whom Downing cites favourably, since he was an important ideologist of colonial plunder. John Minahane, Editor, Heidegger Review. It seems to me that to fulfill Heidegger’s prescription for National Socialism a great deal more people would have to be offed than the Holocaust did because the whole of humanity cannot now be sustained in the countryside. As Pol Pot found out. I don’t know how John Minahane has squared that circle. Steiner’s works in the WSWS of April and November 2000 supply a great deal more proof than this to leave the issue of Heidegger’s Nazism beyond doubt. But perhaps his defenders are correct and there is no connection between his politics, which developed from right wing Catholic populism to fascism, and his philosophy. These include the existentialist Jean Paul Sartre the structuralists, post-structuralist and deconstructionists, Claude Levi-Strauss, Michel Foucault and Jacques Derrida. And the postmodernists Jean-Francois Lyotard and Jean Baudrillard. Not to mention his Jewish student lover Hannah Arendt before the war (she was dismissed from her post at the university where Heidegger was the Nazi-appointed Rector of Freiburg in 1933 with Husserl and others with no protest Heidegger). She resumed her relationship with him after the war and in 1971 wrote a sycophantic essay Heidegger at Eighty, defending him and excusing his Nazism. Of course Arendt was no Nazi herself and neither were/are the above mentioned, nor is John Minahane so why the defence of the Nazi monster’s philosophy? It is simply an attempt to find a substitute for Marxism from those petty bourgeois intellectuals who have lost faith in the working class to make revolution and so need to rationalise their own and humanity’s oppression by global finance capital and its agents throughout society. It must be galling for them to discover that their efforts are built on sand and Farias can demolish them so comprehensively in this great scholarly work. So what was Heidegger’s philosophy? Let me correct a false impression I may have given in the reference to René Descartes (1596-1650) in SF 19: “Spinoza opposed Descartes’s mind–body dualism and famously postulated the monist idea that thought and its extension (nature) are one substance”. Readers may think that Descartes’s philosophy was therefore a big mistake and wrongly conclude that his famous dictum “Cogito ergo sum” (I think, therefore I am) is simply the ravings of a crude idealist philosopher. And many then and since have charged him with just this, and there is a grain of truth in the charge. You will recall, John, that we had a science teacher in our secondary school, Farranferris in Cork, whom we affectionately dubbed ‘Picnic’. One day in the science lab during the Galileo lesson he conducted an experiment. He produced a glass vacuum tube about eighteen inches long with a feather at the bottom. He ran a little motor to evacuate the tube of its air and then sealed it. Then he inverted it and, to our amazement, the feather fell from top to bottom like a stone. Galileo was absolutely correct, even though our previous ‘intuition’ told us that a feather could not fall as fast as a stone, now our ‘intuition’ was graphically revealed to us to be a prejudice. I was pleased at the passing of that particular prejudice, Heidegger regrets it and denies it. You will recall, John, that we had a science teacher in our secondary school, Farranferris in Cork, whom we affectionately dubbed ‘Picnic’. One day in the science lab during the Galileo lesson he conducted an experiment. He produced a glass vacuum tube about eighteen inches long with a feather at the bottom. He ran a little motor to evacuate the tube of its air and then sealed it. Then he inverted it and, to our amazement, the feather fell from top to bottom like a stone. Galileo was absolutely correct, even though our previous ‘intuition’ told us that a feather could not fall as fast as a stone, now our ‘intuition’ was graphically revealed to us to be a prejudice. I was pleased at the passing of that particular prejudice, Heidegger regrets it. Heidegger had a different view than Adolph of what Nazism should be, he was closer to Ernst Röhm, leader of the Sturm Abteilung (SA, “Storm Battalion”), Ernst Jünger, Gregor and Otto Strasser, Joseph Goebbels, Gottfried Feder and Walther Darré, who were radical Nazis who wanted a second revolution to implement some of the ‘socialism’, in the Nazi name, for the workers. But Hitler now almost had the state in his grasp, President Hindenburg was dying and the second revolutionaries alienated the army (the Reichswehr) and also the big capitalists, who definitely needed those who accepted order and acknowledged the primacy of the law of gravity and science to maintain a modern state. 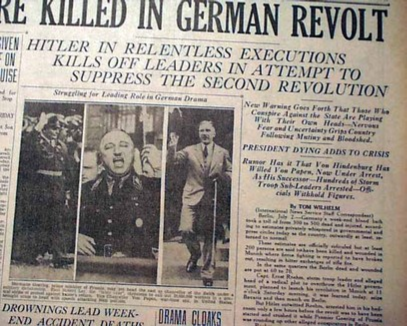 So Heidegger was attacking Hitler from the romantic and irrational right, he realised the danger of the coming confrontation with the second revolution radicals of the lumpen anti-Semitic proletariat and resigned his post in April, just in time to escape assassinations himself in the ‘Night of the Long Knives’, June 30 to July 2, 1934. Goebbels had already jumped ship and was present at the arrest of Röhm. And that emphasises what a dead-end the ‘greatest philosopher of the twentieth century’ has led modern philosophy, existentialism, structuralism, post-structuralism, deconstructionism and postmodernism, all petty bourgeois opponents of Marxism and dialectical materialism, developed to keep the middle classes on the side of finance capital against the global working class in its revolutionary mission to overthrow capitalism and forge a communist future. We will pursue this theme in future issues, beginning with an examination of the politics and philosophy of Jean-Paul Sartre. Quoted in Jeff Collins, Heidegger and the Nazis. Totem Books. 2000, p. 26. Martin Heidegger, Modern Science, Metaphysics and Mathematics, Basic Writings, Harper and Row, 1977, p. 266. 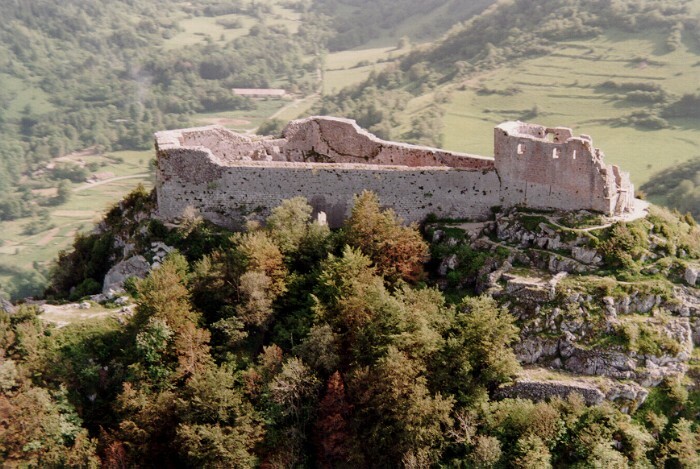 Montsegur And The Cathars, Mid-12th Century – Early 13th Century, Peter Vronsky, http://www.ironmaidencommentary.com/index.php/?url=album13_dod/montsegur&lang=eng&link=albums. Lenin (1870-1924) considered that there were three sources and three component parts of Marxism, namely German philosophy, English political economy and French socialism. Socialist Fight has neglected the first of these and so will dedicate a page in each future issue to this question. 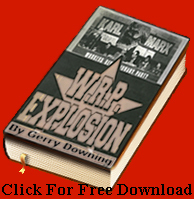 This introduction seeks to show Marxism as the outcome of the historical development of ALL progressive human thought. We were drawn up sharply by the homage paid to Martin Heidegger (1889-1976) following the publication of his ‘black notebooks’ early in 2014 and the appearance of a journal, The Heidegger Review, in July 2914. At the heart of this debate is philosophical dualism, the idealist proposition that thought and its extension are two separate entities, that the object and the subject are two separate and unconnected phenomena or at least they are not dialectically connected. Leszek Kołakowski, the Polish Marx scholar, has mentioned Eriugena as one of the primary influences on Hegel’s, and therefore Marx’s, dialectical form. In particular, he called De Divisione Naturae a prototype of Hegel’s Phenomenology of Spirit. John Locke, he was a great Enlightenment thinker and also the enforcer of slavery in the American colonies, the Carolinas – in other words a typical bourgeois revolutionist. 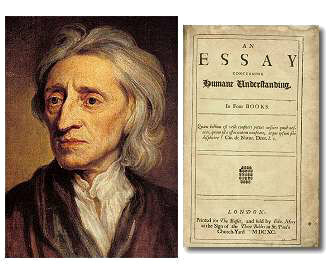 John Locke (1632–1704), whilst accepted the existence of God held that reason should be the ultimate judge of all truth. Lord Herbert of Cherbury (1583–1648) maintained that revelation was unnecessary because human reason was able to know all the truths requisite for salvation. John Toland (1670–1722), from Ardagh in the Inishowen Peninsula of Donegal, was much influenced by John Locke’s Essay on Human Understanding. Embracing Locke’s epistemology, Toland viewed reason as a mental faculty. He argued that all parts of the universe were in motion. Additionally, motion was part of the definition of matter and was, therefore, an aspect of its nominal essence. Toland invented the word, ‘pantheist’. Heidegger’s philosophical outlook found its logical expression in the death camps. His ‘philosophy’ contributed to human understanding of its relationship to itself and to nature in general what the Holocaust contributed to human progress. It poisoned European leftism with bourgeois individualism, the reactionary outlook of ‘existentialism’ so beloved by Jean-Paul Sartre and others ever since. Extracted from Wiki from Eriugena to Collins. ICO maintained the regular publication of “The Communist” magazine from 1967-1986. The journal rarely shied away from controversy with headlines written to attract attention, such as “Is Mao A Fascist?”. Clifford provoke a 15,000+ worded reply from Ted Grant (extract published in his The Unbroken Thread), entitled “A Reply to Comrade Clifford” on the question of the difference between Stalinism and Trotskyism. Clifford would repeatedly return in print to the question of Stalin as with “The Communist” July 1979 “Special Stalin Centenary Issue”. While the ICO generally took a pro-Chinese and Albanian position in international politics, its views were largely motivated by a defence of Stalin and the Soviet experience. In fact, the ICO undertook an investigation into the development of Maoism, and concluded that it was not a suitable model for an anti-revisionist group because, it claimed, Mao had supported the development of Khrushchev’s ”revisionism”. Anti-revisionist maybe, but the ICO was far from a “Maoist” group. This was clearer when the organisation began to produce an analysis on the issue of partition and its work on the “historic Irish nation” that contradicted any notion of a national liberation struggle existing in modern Ireland. Instead it was argued that there were two distinct people in the isle of Ireland who constituted “two nations” each entitled to the expression of its structural existence. The change of organisational name from ICO to British and Irish Communist Organisation in 1971 was said to reflect an operational reality with members on both islands. However it also marked a distinct political reorientation that had occurred in the thinking of the ICO leadership after the promotion of its “two nations theory,” a reorientation which led in an increasingly less Marxist direction. This was an analysis that generated many polemical responses and reinforced the questioning of the group’s Marxist credentials which had evaporated as the years progressed. BICO’s evolving positions, particularly on the Irish national question, were met by dissension from within. Members in southern Ireland who opposed the new direction on the Irish struggle (including Jim Lane) resigned to form the Cork Workers’ Club. In 1974 more dissidents with the BICO’s policy initiatives, which at the time included support for the Ulster Workers Council Strike, left and formed the Communist Organisation in the British Isles (COBI). The BICO was never officially disbanded. 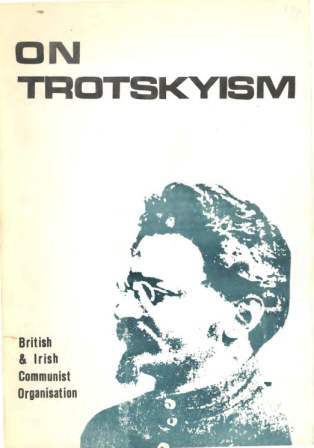 In the 1990s its members remained prolific publishers, with the Irish Political Review as the direct lineal descendent of British and Irish Communist Organisation publications including Workers’ Weekly and Northern Star. Also in the stable of online and print publications are Labour & Trade Union Review, Church & State, and Problems of Capitalism & Socialism. Clifford and his diminished band of co-thinkers came to work solely through the Ernest Bevin Society, maintaining the publishing outlet of Athol Books, and increasing, having produced over 30 publications, worked through the Aubane Historical Society, which essentially concentrates on the local Aubane and Millstreet area as well as North Cork generally but, through linked sites, still comments on a wider stage. Brendan Clifford (born 1936) is an Irish historian and political activist. As a young man, Clifford emigrated to the United Kingdom and became involved in left-wing politics. Initially, he was an associate of Michael McCreery, a leader of the Committee to Defeat Revisionism, for Communist Unity, a small British Marxist-Leninist that had left the Communist Party of Great Britain in 1963. Later, he joined the Irish Communist Group which soon split into two factions; Clifford sided with the Maoist faction, which named itself the Irish Communist Organisation (ICO). In 1967, Clifford gave a public speech on the Republican Congress in Wynn’s Hotel, Dublin, at a meeting of the Irish trade union group Scéim na gCeardchumann. In the early 1970s, he joined the other ICO members in advocating the “two-nations theory” – that the Ulster Protestants formed a separate nation and the Republic of Ireland had no right to force them into a United Ireland against their wishes. Clifford soon became a prolific publisher of material advocating the group’s viewpoint. The ICO later changed its name to the British and Irish Communist Organisation (B&ICO). He was an active campaigner against Irish nationalism alongside other B&ICO members including his wife Angela Clifford, Jack Lane, Manus O’Riordan and Len Callendar. By the late 1970s, according to historian Richard P. Davis, Clifford and historian Peter Brooke were effectively leading the B&ICO. In the 1980s, Clifford began campaigning for the organisation of British mainland political parties in Northern Ireland. He was an active member of the Campaign for Equal Citizenship political-advocacy group which advocated this aim. Clifford was strongly against the 1985 Anglo-Irish Agreement and wrote several pamphlets attacking the agreement and especially the Irish politician John Hume, whom Clifford regarded as a reactionary Irish Nationalist; and Queen’s University Belfast, which Clifford claimed was biased against the Ulster Unionists. As the B&ICO became inactive in the mid-1980s, he began working through several new groups, including the Aubane Historical Society, an organisation originally intended to be a local history organisation, but later expanded into the role of opposing the “revisionist” movement in Irish history; and the Ernest Bevin Society, the B&ICO’s British branch. In a piece written for The Independent, Clifford argued that Northern Catholics had no interest in a United Ireland and therefore electoral integration was the answer to the Northern conflict: “Opinion polls now confirm what one knew from experience in the Sixties, that most Catholics did not want to join the Republic. That fact is, however, of no electoral consequence”. Clifford also criticised the Irish Republican Army (IRA) campaign of violence as futile: “The IRA wants to revolutionise the Irish State to make it fit for Irish unity. But nothing is less likely than a revolution in the Republic, and all concerned know it”. Clifford also defended the British Monarchy, arguing it played a socially beneficial role in British society. Clifford opposed the Gulf War (1990–1991); he was dismayed at Irish academic Fred Halliday‘s support for the conflict and wrote a Bevin Society pamphlet, The New Left Imperialist, that was strongly antagonistic toward Halliday. In the 1990s, Clifford and Lane published several books on Irish history, including Notes on Eire: Espionage Reports to Winston Churchill, 1940–2, an account of Irish writer Elizabeth Bowen‘s World War II intelligence reports to Britain. The book marked an abandonment of the opposition to Irish nationalism that had characterised Clifford’s earlier work. This book provoked some controversy because Clifford argued the Anglo-Irish Bowen was not in any way an Irish writer. Clifford stated Franco’s rule brought political stability to Spanish society: “Spain evolved under Franco. It is doubtful in the extreme whether the Spanish Republic which he overthrew was capable of evolving”. Clifford has also argued Britain, not Germany, bears responsibility for starting World War II: “Going over the events of 1939 one can hardly suppress the thought that Britain decided to aggravate Germany over the last national issue remaining from the Versailles arrangement and make it an occasion for war, lest no further opportunity for war should present itself, and the Munich Agreement [(1938)] should prove to be a settlement”. Discussing the book The Speeches of Adolf Hitler, April 1922 – August 1939 in an essay in Notes on Eire, Clifford argues that Hitler’s speeches are “coherent arguments” and claims he can see how Hitler was able to persuade the Germans to follow him. Clifford also argues that pre-World War II British governments had no interest stopping the Nazi persecution of the Jews and that the importance of the Holocaust in World War II has been exaggerated by modern historians: “the extermination of the Jews was an obscure incident in the hinterland of the German-Soviet War…. The Jews were not being exterminated when Britain declared war. The Jewish question does not figure in the declaration of war. The extermination did not begin until two years into the war, after Britain had succeed in spreading it to Russia. It was unimagined even by the most daring spirits in the SS in the summer of 1939″. He has also taken issue with Irish histories of the Irish Free State during the Second World War. In a critique of the book Ireland and the League of Nations 1919–1946 edited by Michael Kelly, Clifford claims the book and others reflect non-Irish viewpoints. Clifford has endorsed David Irving as a historian and argued the charges of Holocaust denial laid against Irving are unjust, stating Irving has not denied that “millions were killed deliberately” by the Nazi government. Clifford, Brendan (1986). Parliamentary Despotism: John Hume’s Aspiration. Belfast, Northern Ireland: Athol Books. OCLC 14129827. Clifford, Brendan (1987). Queen’s: A Comment on a University and a Reply to Its Politics Professor. Athol Books. OCLC 18071899. Clifford, Brendan (22 March 1989). “The Political Impotence That Fuels Rebellion; Brendan Clifford on Ulster’s Resentment at Electoral Exclusion”. The Independent. Clifford, Brendan; Lane, Jack (1999). Notes on Eire: Espionage Reports to Winston Churchill, 1940–2. Aubane, Ireland: Aubane Historical Society. ISBN 978-0-9521081-9-1. Clifford, Brendan (2004). Traitor-Patriots in the Great War: Casement and Masaryk – with a Review of the Rise and Fall of Czechoslovakia (part of the Belfast Magazine series 23). Belfast, Northern Ireland: B. Clifford. p. 41. ISBN 978-1-874157-10-6. « Greek Solidarity: Demand Total End to Debt/Austerity, or Torpedo the Euro!